In an era of divisive pipeline politics, a small Calgary firm behind a high-tech response to oil and gas spills will test its ultrasensitive leak detection system in pipelines run by TransCanada Corp. and Enbridge Inc. Fear of spills has helped galvanize often-effective opposition to large-scale pipeline projects. Leaks that last for weeks before they are detected — damaging ecosystems and killing wildlife — have not helped the industry fend off these criticisms. Calgary’s Hifi Engineering, among other players globally, uses fibre-optic cables to detect pinhole pipeline leaks within seconds. The sensors can also alert operators about nearby construction or earthquakes that could disturb or diminish the integrity of pipe. “If we can improve safety records in the industry and we can be a part of that — improving social licence to be able to build new pipelines and expand existing pipelines — is very key,” said Steven Koles, Hifi’s chief executive. According to Alberta’s energy watchdog, pipeline leaks in Alberta are on the decline, with the number of incidents falling by 44 per cent in the past decade. Last year, 460 leaks were reported, a three per cent drop over the previous year. The trend has failed to dispel unwavering criticisms that oil and gas pipelines come with unpalatable risks of leaks into waterways, other natural habitats and lands occupied by Indigenous communities. High-profile cases, including Husky Energy’s major spill of heavy oil mixed with diluent onto the North Saskatchewan River last year, have been more fodder for opposition groups. In March, the Alberta Energy Regulator fined Murphy Oil $172,500 for a spill that went undetected for a month and a half in early 2015, dumping 1.4 million litres of condensate southeast of Peace River. Hifi, a privately held firm with 15 employees, has been quietly testing its fibre-optic sensors in several locations across the continent, including in spots known for high-profile spills. The company’s sensors can be installed on top of pipes, inside or next to them, and can discern regular noises, such as nearby traffic, from leaks that trigger alarms and quickly alert operators. Hifi on Tuesday publicly revealed it will also pilot its technology on a section of Enbridge’s Norlite pipeline that carries diluent from Edmonton to Fort McMurray, and on parts of TransCanada’s Keystone line. 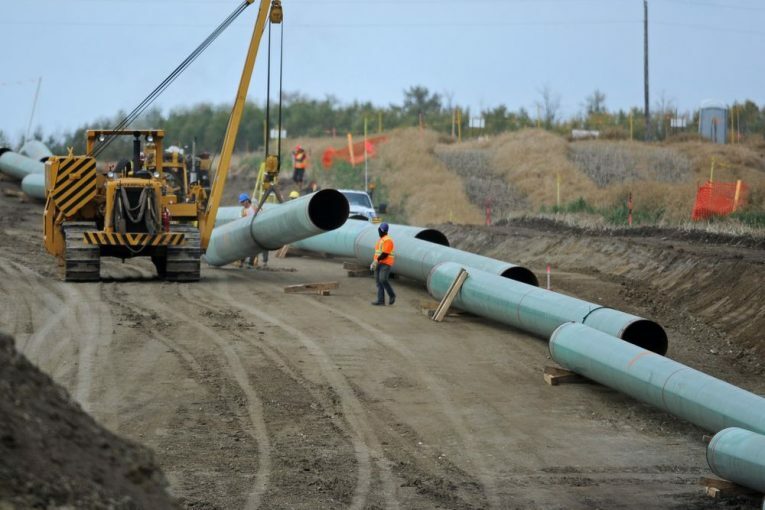 Enbridge and TransCanada said the technology will complement, not replace, their existing suite of leak detection tools during the multi-year pilot, as well as any potential expanded use of the sensors. “It will require a significant investment by any pipeline company to do this, but you have to measure that in terms of the incremental benefit,” said Ray Philipenko, Enbridge’s manager of leak detection. Koles said Hifi’s censors cost roughly $10 to $15 per metre in a new pipeline project where trenches have already been dug, calling the expense little more than a rounding error in large projects. There is also an ongoing servicing fee for the company’s software and technical support. The fibre-optic cables have been installed on a 32-kilometre stretch of Enbridge’s Norlite project in northern Alberta, and will be tested on either end of TransCanada’s Keystone main line, in Hardisty and in Houston, after installation scheduled for next year. Koles said pipeline companies have generally been reluctant to be the first to adopt new technologies, opting to wait until the tools or methods are proven before joining the bandwagon. Having large players on board for a pilot could give the small firm some leverage, he said. Hifi’s expansion efforts are focused on new pipelines and retrofits of existing ones, especially in sensitive areas such as river crossings, spots where erosion is a concern and locations of previous spills.